Four years into its existence, Chinese smartphone manufacturer Xiaomi has achieved great success with its smartphone sales in the Chinese market, and is now even starting to expand to other countries. In fact, the company has just announced its first tablet, dubbed the Mi Pad. 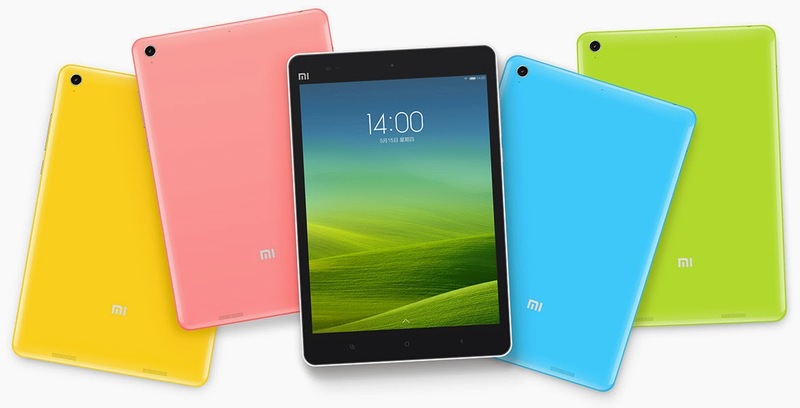 As is common with many Xiaomi products, the Mi Pad is designed very similarly to one of its main competitors' mobile products, in this case, it looks like an iPad mini with a back that resembles the plastic, colourful iPhone 5c. However, the Mi Pad does bring something new to the table: A remarkably low 1,499 yuan (US$240) starting price and what might be just about the best mobile processor designed to date: Nvidia's Tegra K1. To say that the Xiaomi Mi Pad is based on Apple's iPad mini Retina would be an utter understatement. It has the same screen size and resolution, with a 7.9" diagonal and a 4:3 aspect ratio and a 2048 x 1536 resolution, which adds up to 326 pixels per inch. "Copied" or not from Apple's tablet, it has to be said that this is a very good screen for such a low-priced tablet. Since the screen size and aspect ratio are the same, the Mi Pad also has very similar dimensions to the iPad mini, measuring 202 x 135mm. It's thicker than the iPad mini though, measuring 8.5mm thick, but that's because it has a huge (for its size) 25Wh battery (vs 23.4Wh for the iPad mini) to power both the high-resolution screen and the beefy 192-core GPU in the Tegra K1 processor. The Mi Pad is also slightly heavier than its competitors, weighing 360g (vs the 338g iPad mini Retina), although it's not exactly heavy, and the large battery more than compensates for the added weight. The back of the tablet is made of glossy plastic, which will be available in a variety of different colors (yellow, pink, blue, green, white and black). Xiaomi itself says that it uses the same kind of plastic build as the iPhone 5c. The tablet has a decent (on paper at least) 8MP Sony camera with F/2.0 aperture on the rear, and the front sports an unusually high-resolution 5MP front-facing camera, so it should be excellent for video conferences and selfies. The main reason why the Mi Pad stands out from other tablets in the market is because it's the first device to ship with Nvidia's Tegra K1 processor. While Nvidia's past Tegra processors have never been the fastest, the Tegra K1 marks a huge change in Nvidia's strategy in the mobile market. The Tegra K1 actually has two variants: one with a quad-core 32-bit Cortex-A15 CPU with a max clock speed of 2.3GHz (we've never seen a Cortex-A15's clock speed go this high before) plus Nvidia's signature use of a fifth low-power A15 core for handling low-power workloads while consuming very little power, and the other variant will sport a dual-core variant of a custom CPU core designed by Nvidia, the 64-bit Denver, which will apparently run at up to 2.5GHz. The Denver K1 will only be released later this year, so it's definitely the Cortex-A15 variant powering the Mi Pad. This is no issue though, as the Cortex-A15 is still one of the fastest CPU cores available, especially at 2.3GHz. But what really stands out in the Tegra K1 is Nvidia's abandoning of the old GPU architecture used in previous Tegra's ULP Geforce GPUs in favor of the most recent, most efficient, Kepler architecture. This immediately implies that the Tegra K1 supports a wide range of APIs, including OpenGL ES 3.0 and DirectX 11. The Kepler GPU in the Tegra K1 is a full SMX unit, which means 192 unified shader cores, more than on any other mobile GPU. 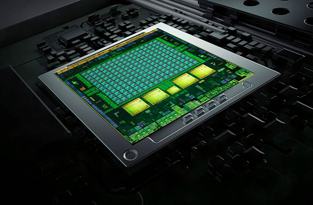 Not only that, but Kepler's cutting-edge power-efficiency means that, even on a thermally and power-constrained form factor like a tablet the GPU can get to very high clock speeds; Nvidia says it can go up to 950MHz, which is just insane for a mobile SoC. We still can't say wether the Mi Pad will heat up or drain its battery too fast with usage due to the powerful processor inside, but given Kepler's efficiency, I believe that neither will be a problem. Some benchmarks of the Mi Pad that surfaced with its announcement show truly impressive GPU performance. For instance, it scored 30fps on the GFXBench 3.0 Manhattan Offscreen test, which is unprecedented for a mobile device. For comparison, the second fastest device for this particular benchmark, the iPad Air, tied with the iPad mini Retina and the iPhone 5s, scores 13fps on the same test. In other words, virtually all mobile SoCs are dwarfed by the Tegra K1 when it comes to GPU performance. As there's no way to ascertain whether the Mi Pad is running the Tegra K1's GPU at the full 950MHz, I decided to try to determine it indirectly, so I ran the GFXBench T-Rex Offscreen (Manhattan isn't available on Windows yet) GPU benchmark on my G750JW laptop, which has a GPU with the same Kepler architecture. My laptop's GPU contains four Kepler SMX with a max clock speed of 910MHz, in other words, four times the amount of cores in the Tegra K1 with a very close clock speed. And indeed, my laptop scored a bit less than four times what the Mi Pad scored in the same test (60fps by the way), the difference being accountable for the 40MHz lower clock speed of my laptop's GPU. Hence, I can confirm that the Mi Pad has its 192-core GPU running at the full stunning 950MHz. This gives it 364.8 GFLOPS of peak processing power, much more than what the Xbox 360 and PS3 could produce. So if the Mi Pad is rather uninspiring in its design and specs, at least its performance is downright amazing. The GPU is definitely capable of powering demanding mobile games, even with the Mi Pad's high 2048x1536 resolution. And with Nvidia bringing console games to its Tegra devices, like Portal and Half Life 2, the Mi Pad has the potential to be just about the best gaming tablet on the market. It's a shame that Xiaomi doesn't sell its devices in many countries, because they've been producing some very good stuff lately. Even though the Mi Pad isn't exactly original with its design and spec sheet, that doesn't mean its a bad tablet. Quite the contrary. With a high-resolution display, an excellent duo of rear and front cameras, a large battery, and what is by far the fastest mobile processor available, the Mi Pad has all it needs to compete with top-end small tablets like the Nexus 7, the Samsung Galaxy Tab Pro 8.4 and the iPad mini Retina. Wrap that up with a 1,499 yuan/US$240 price tag, and you may just have not only the best portable tablet, but also the best tablet value on the market. The tablet will be on sale in China some time around June, and will subsequently roll out to a few other emerging markets as part of Xiaomi's expansion plan (some of these countries are: Brasil, Malaysia, Mexico, Russia, Indonesia and Thailand). In the US, it'll probably be available at some point through online importers, but that means that the price tag will be a bit above $240. If you can get your hands on the Mi Pad, and if its resemblance to some Apple products doesn't bother you that much, I would definitely recommend it.